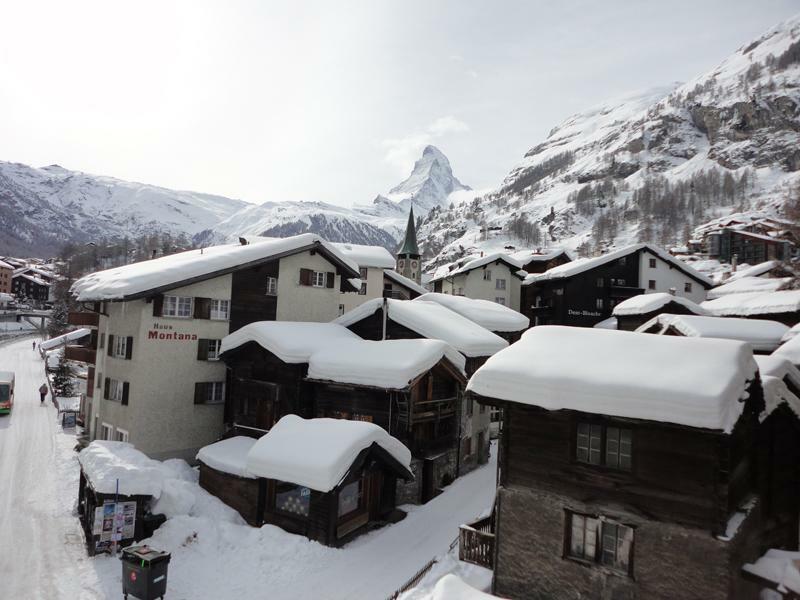 Our view: Tradition and a great location - A superb place to explore Zermatt without breaking the bank! 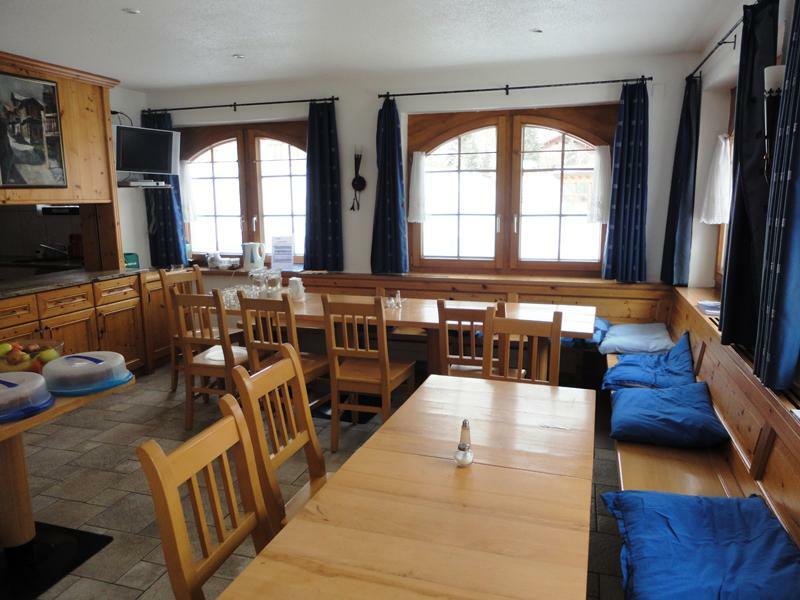 The excellent location of this chalet makes it one of our most sought after properties. 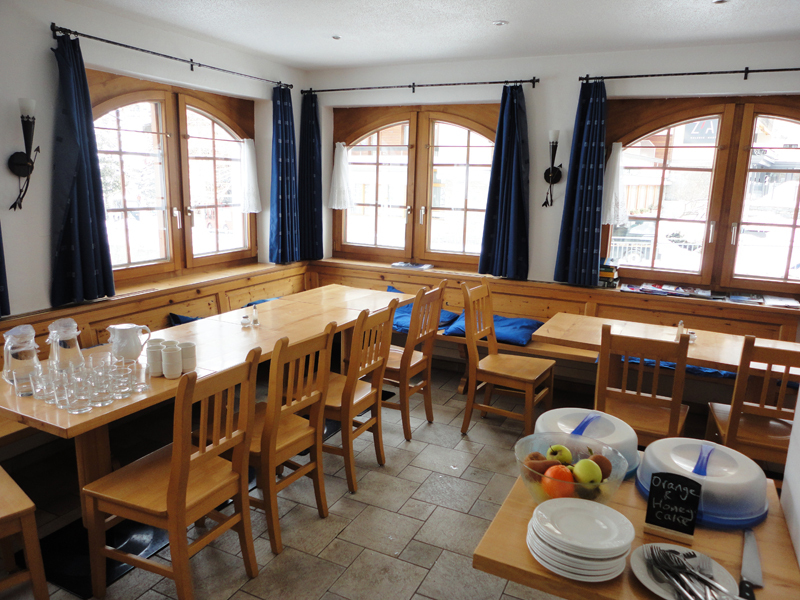 The chalet was refurbished to high standards within the traditional ‘mazot’ and although there is no lounge, the dining room and bedrooms offer comfortable accommodation. All bedrooms have TV, and most have private facilities and balcony. Waking up to the idyllic sound of the River Visp each morning, Chalet Mazot has an excellent central location in Zermatt. 350 metres away is the Sunnegga ski lift, or a 500 metre stroll will get you to the Gornergrat lift station. After a day on the slopes, you’re literally a stone’s throw (250 metres) from the historic main street and the best après Zermatt has to offer. Start your ski day with fresh bread, a choice of preserves, cereals, porridge (on request), yoghurts, fresh fruit, fruit juice as well as tea and coffee, plus a cooked option of eggs and two other hot items. Hot items include bacon, sausages, hash browns, tomatoes, baked beans and mushrooms (or equivalent). Enjoy a delicious freshly cooked 3 course meal with house wine until coffee. Zermatt, according to some reporters, is as near as anywhere to perfection, so long as you are an intermediate or advanced skier. With vast and varied skiing that extends via a link with Cervinia into Italy, along with awesome scenery, Zermatt really is a great resort. The only downsides: a lack of choice for beginners and a bit of a trek to the lifts at times. With amazing restaurants both on and off the mountain, a beautiful town that is traffic free apart from the electric taxis and great nightlife to suit all tastes, life down in resort isn't too shabby either. Add to this some great accommodation and good shopping and its easy to see why Zermatt is often described as "the perfect ski holiday destination". Only downside: as with a lot of Switzerland, it's not cheap.